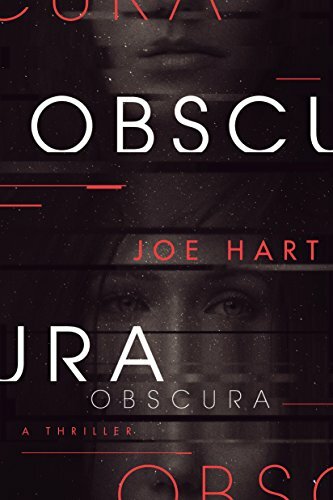 Obscura is a sci-fi/thriller hybrid about a medical researcher in space. That was a setup I’d never heard before! I love when a book feels like a fresh and original experience. Gillian Ryan is an expert on a dementia-like disease that can affect people of any age. She lost her husband to it, and now her daughter is showing signs as well. When she is approached by NASA about going into space to see if she can help astronauts who have been showing similar symptoms, she agrees because she hopes doing so will help find a cure to save her daughter. There are a few problems: One, Gillian has an addiction that clouds her judgment and, at times, her perception, and two, NASA lied to her about key aspects of the mission. (Like, really really important aspects.) And that, my friends, is a recipe for a space disaster if I ever heard one! While I got a little annoyed from time to time (I don’t like being inside a character’s head while they’re on drugs, for one thing, it’s just not my bag), mostly I was engaged with trying to put the pieces together to figure out what the heck was going on and how Gillian was going to get out of a string of impossible situations. This would be a fun thriller for your beach bag. Is it just me, or is this book criminally under the radar? I’m not even sure where I heard about it or how it ended up on my list, but it’s certainly not one I’ve seen bandied about much. I didn’t even have any immediate plans to read it—I used an Audible credit on it out of desperation one night when the two other books I planned to read next in audio turned out not to be available in the format (#firstworldproblems). My sweet spot when it comes to mysteries and thrillers is somewhere between cozy and brutal, which in my experience can be a pretty narrow target to hit. I am weirded out by books that are too cutesy or jokey about death, but I also can’t stomach outright gore. So my ideal mysteries are the kind that take crime seriously, but don’t wallow around in the bloody details. 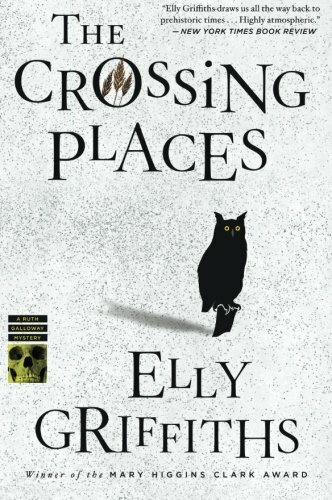 As I flipped through my TBR, desperately searching for anything that might fit the bill, I reread the synopsis of The Crossing Places and thought, yeah, that sounds about right. And it totally was! Ruth Galloway is my jam. I don’t know when I’ve more closely identified with a character. She’s an antisocial nerd, a bit overweight, much more confident in her field of expertise than interactions with people. Her work as an archaeologist leads the police to seek her help on a case dealing with bones found in a salt marsh near her home. The bones turn out to be thousands of years old, and not those of a missing girl, but Ruth gets sucked into the case anyway, partly out of her own interest and partly by forces out of her control. While I’m a little miffed that I hadn’t heard of this series before now, I’m tickled that there are eight other books for me to enjoy, no waiting required.